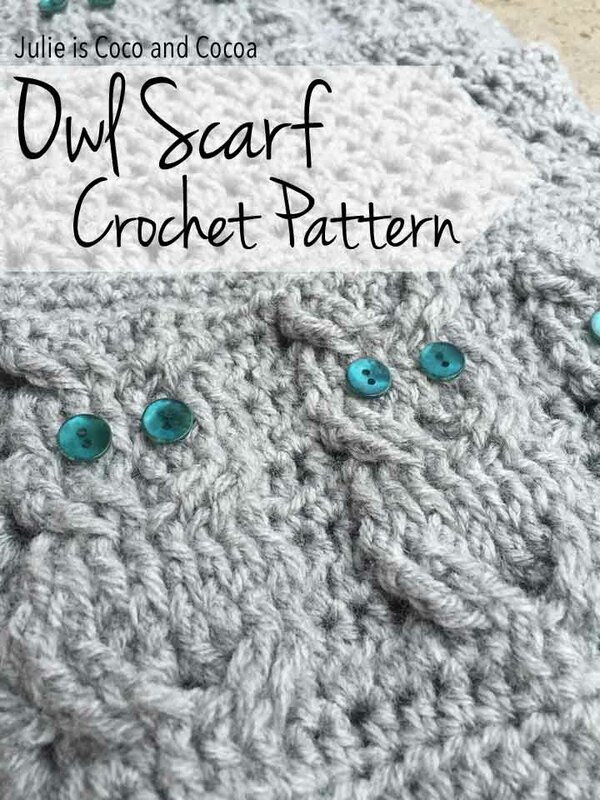 This pattern uses single crochet (sc), double crochet (dc), treble crochet (tr), front post double crochet (fpdc), back post double crochet (bpdc), and front post treble crochet (fptrc). The cables are a bit tricky. Watch the YouTube video here. The owls on each end are reversed. When laying the scarf flat their heads are pointed towards each other.